SWOT Analysis can be used in strategic planning, brainstorming and decision making. We recommend using ConceptDraw MINDMAP for identifying and structuring factors employed in SWOT Analysis. 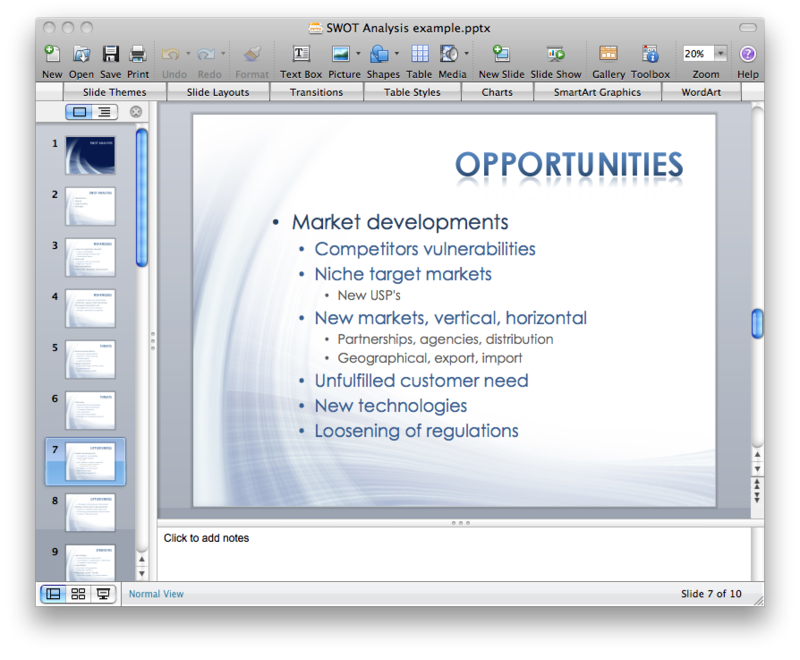 Then, you can export the SWOT Matrix to PowerPoint slides. Sample 1. SWOT Analysis Mind Map Template. Choose a theme for your presentation from the list of predefined themes. The Details option enables you to customize your settings. Press the Ok button to start exporting. Sample 2. SWOT Analysis MS PowerPoint Presentation.